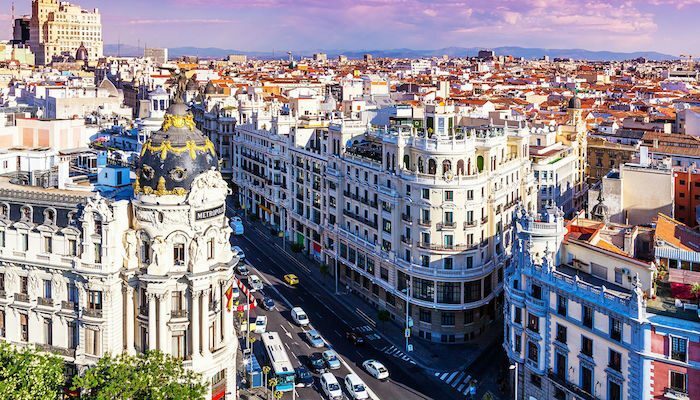 Madrid, Spain is one of the most iconic and vibrant cities in the European Union. Third largest, following London and Berlin, it is a hub of business, culture and tourism. 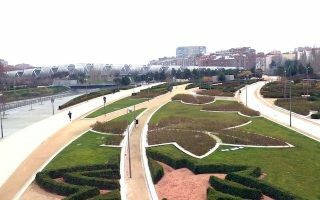 While Madrid is well known for its food, history and of course, soccer, it also has more green spaces than any other European city. Madrid’s lovely weather, in addition to the plethora of parks, makes it a great city for running. 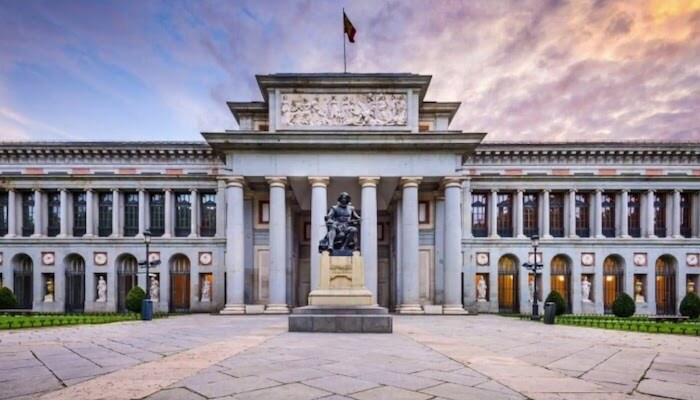 Our guide to running in Madrid includes exploring green spaces such as Casa de Campo (five times the size of New York City’s Central Park) and Madrid Rio Esplanade, or following major avenues to see some of Madrid’s most iconic locations from the Royal Palace of Madrid, to the Museo Nacional del Prado (The Spanish National Art Museum). Most of our routes are in or near Madrid’s large center (Centro) and are near major sites, hotels, and public transport. Note: Calle is Spanish for ‘street’. There are lots of public transit options for getting around Madrid. The Metro (subway) along with the four lines of the Light Metro are the most popular. Another option, is the Cercanías local railways. This system is used for long distances inside Madrid, is faster than the Metro and has less stops inside the center of the city. It has several connections with Metro and Light Metro. Finally, there is a dense network of bus routes, run by the municipal body Empresa Municipal de Transportes, or EMT, which operate 24 hours a day. There are multiple bus types. Blue buses operate inside the city (with more than 200 bus lines), the green buses run routes in the neighborhoods outside the center of the city (with 459 suburban bus lines), and the yellow buses running the Airport Express route. Additionally, several neighborhoods have their own bus lines. Located a few km west of Madrid’s historic center, Casa de Campo is 5x the size of New York's Central Park. Miles of paths. Our route begins at the Royal Palace and loops through a small section of the park. Another great route begins at the Batán Metro Station and loops on the Ctra. This is ‘Madrid Highlights’ Tour. 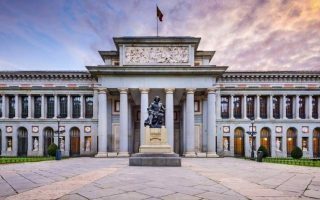 This route follows some of Madrid’s historic and major avenues through several of Madrid’s most important sites, starting at the famous Prado Museum. Nearly 10 km of running paths along the Mazanares River. The park is located within the central part of Madrid. Recently renovated, this esplanade provides beautiful views of the Royal Palace, Almudena Cathedral and other famous landmarks. The Green Cyclist Belt of Madrid is a 40 mile multi-use path around Madrid. The section closes to Madrid’s center skirts the eastern section of Casa de Campo. Pick up the path from one of the metro stations along the way and run for as long as you desire. 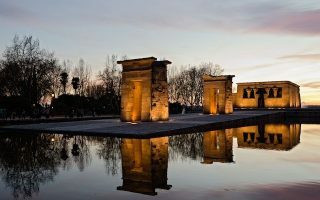 This route provides a more varied 5K route with streams, lakes, oak trees, rolling hills, and the famous Templo de Debod, an ancient Egyptian temple which was dismantled and rebuilt in Madrid. It you are interested in modern art, Juan Carlos I Park is the route for you. 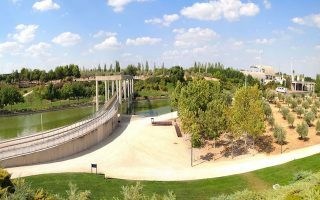 Located in northeast of Madrid, this 148 acre park features a large lake, olive groves, the 'Three Cultures' garden and 19 open-air sculptures! 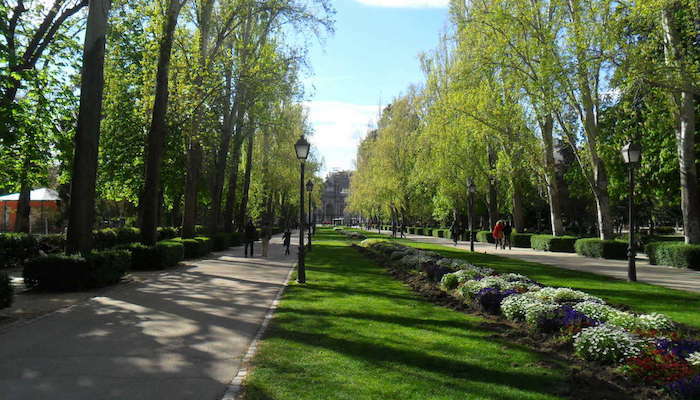 One of the largest parks in Madrid. Located just east of the Prado. Beautiful sculptures, a peaceful lake, graceful paths wonderful for running. Running along the edge of the park makes for a great loop that plus there are many smaller paths crossing the park. The Madrid region experiences a mild semi-arid climate. Winters are cool to mild, with average highs of 50F (10C),with sporadic snowfalls and temperatures occasionally dropping below freezing. Summers are hot with average daytime highs over 90F (33C). 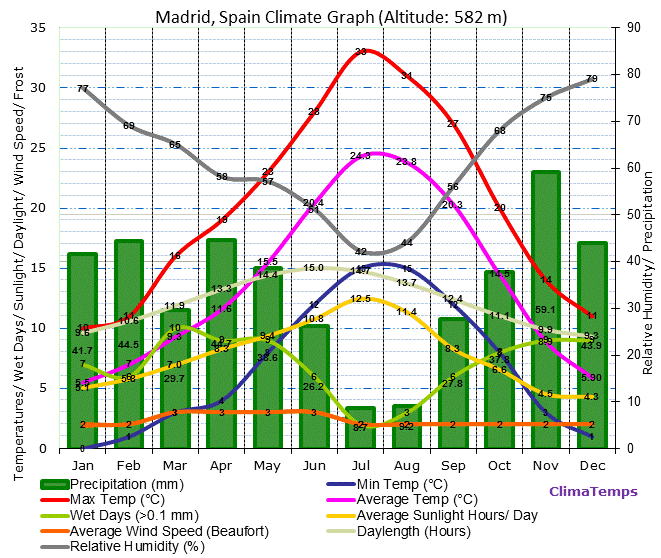 Due to Madrid’s altitude and dry climate, diurnal ranges are often significant during the summer. Madrid is one of the driest capitals in Europe. So you shouldn’t have to worry about rain getting in the way of your run. Madrid’s downtown, or Centro, houses the majority of hotels for travelers. 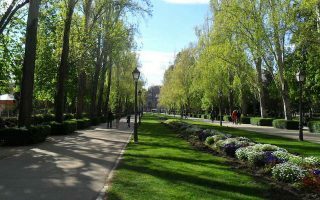 Parque de Retiro, Parque de Casa Campo, Historic Sites Loop, Madrid Río, Anillo Verde (The Green Cyclist Belt of Madrid) and Parque del Oeste routes are all easily accessbile from these hotels. 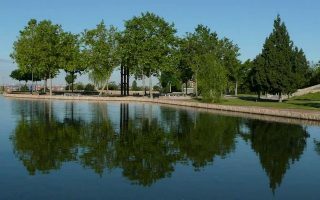 The Juan Carlos I Park is further from the Centro Hotels but accessible through public transit. Running Company Specialized Running Shop. Decathlon Multiple Locations. All day you will find passionate athletes to welcome you, advise you and provide you with a personalized service. Lactic Acid Junkies A meetup with Multiple Locations, Times and Distances. All runners are welcome. Citylife’s Running Club The club meets every Monday and Wednesday at 7:25 pm at the Asics Shop — Calle Alcala 44. Madrid has numerous running events. Running calendars below. Events Calendars #1. from Madrid Running Company. Events Calendar #2. 23 of Madrid’s best running events. Carrera popular Cerro Marmota (Fun Run and Walk Walker Woodchuck Hill) November. 10K and 25K. All proceeds fund childhood cancer research. Rock ’n’ Roll Madrid Marathon and Half April. 10K, Half Marathon, and Marathon. Medio Maratón Villa de Madrid (Asics Half Marathon Madrid) April. 5K and Half Marathon. 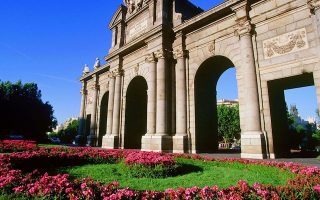 Enjoy the sites of Madrid with this race starting in Paseo del Prado and finishing in Parque del Retiro. Medio Maratón Rockero de Villaverde (Villaverde Rocker Half Marathon) December. Half Marathon. Marcha la Carrera Solidaria por la Parálisis Cerebral (Solidarity Race for Cerebral Palsy) June. 5K or 10K. Carrera de la Mujer (Madrid Women’s 5K) May. Part of the biggest female running series in Europe.